News and Information from the media and public relations staff at the Los Angeles Fire Department. ENCINO - The Los Angeles Fire Department (LAFD) extinguished structure fire that claimed two lives and hospitalized six, including one firefighter. Just before 9:00 PM on August 28, 2014, firefighters responded to 5330 Lindley Avenue to find a three-story center-hallway apartment/condo building over a parking structure, with one unit on the third floor well involved in flames. An aggressive attack ensued and additional firefighters were quickly requested. Over 100 firefighters, under the command of Battalion Chief Al Valle, fully extinguished the flames in just over one hour. A total eight civilian patients were evaluated. Sadly an elderly male and female were determined dead, most likely due to asphyxiation from smoke. Five others required transport to local hospitals and one declined transport. Lastly, one firefighter suffered a hand injury and was transported to a local hospital in Fair condition. A positive identification of the deceased, as well as the cause, time and manner of their death will be determined by the Los Angeles County Department of Coroner. There were no security doors or bars on windows to impede egress. This is the 19th and 20th civilian fatality related to a structure fire in LAFD's jurisdiction in 2014. The Mayors Crisis Response Team assisted those affected by this traumatic incident and the American Red Cross assisted with those displaced. The cause of the fire is under active investigation by the LAFD Arson Section and the estimated dollar loss is being tabulated. Hard wired Smoke Alarms were located however they did not appear to be functional. Friday morning August 29, 2014, firefighters will canvas the neighborhood as part of the LAFD’s Smoke Alarm Field Education (SAFE) Program, distributing free smoke alarms and fire safety information. VENICE – On the afternoon of July 27, 2014, a bolt of lightning from an unexpected summer storm struck Venice Beach. 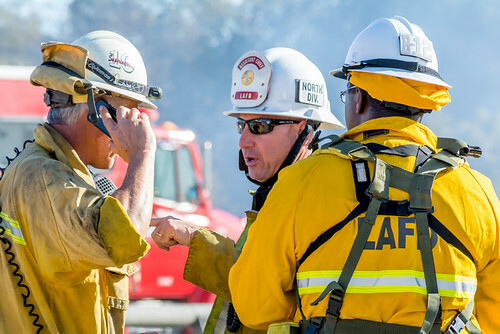 LA County Fire Department (LACoFD) Lifeguards and Los Angeles Fire Department (LAFD) units sprang into action to assist numerous injured people. FAIRCREST HEIGHTS – A male in his 70’s, two dogs and a bird were found dead in a burning home Sunday afternoon. The Los Angeles Fire Department was summoned at 4:51 PM on August 24, 2014 to the report of a structure fire at 1568 South Point View Street in the Faircrest Heights neighborhood of Los Angeles. Firefighters arrived quickly to find heavy smoke showing from the attic of a one story 1,544 square-foot home. Access was difficult due to excessive storage in front yard, back yard, roof and throughout the 80 year old residence. During fire attack, LAFD responders discovered a man without vital signs of life, who was later determined to be dead at the scene. Ninety-seven firefighters under the command of Battalion Chief Kevin Pearson were able to fully extinguish the flames in just 31 minutes. Two dogs and a pet bird also succumbed in the fire. No other injuries were reported. Firefighters found no evidence of functional smoke alarms inside the residence. The home was heavily damaged by the fire, and was not equipped with optional residential fire sprinklers. A positive identification of the victim, as well as the cause, time and manner of his death will be determined by the Los Angeles County Department of Coroner. As LAFD Arson Investigators were seeking the cause of the fire, firefighters canvassed the neighborhood as part of the LAFD’s Smoke Alarm Field Education (SAFE) Program, distributing free smoke alarms and fire safety information. Monetary loss from the fire is still being tabulated. The cause of the blaze remains under active investigation. A strong earthquake near Napa in Northern California this week, reminds us that disasters can strike without warning. ...if basic services - water, gas, electricity and telephones - were entirely cut off?...if roads were impassible or neighborhood firefighters were committed to major emergencies and unable to reach you right away? Know the types of disasters that can occur in your community. Make a family emergency plan that coordinates with your school, work and neighborhood plans. Practice them with the every member of your household - and don't forget your pets! Create a disaster supplies kit that includes enough supplies for each family member for at least three days. Remember to check your kit every six months. Teach children about emergencies, including when to call for help, where you'll meet and how you'll communicate following a disaster. If you commute to work, know alternate routes and carry appropriate supplies, such as a disaster kit in your car - and a compact kit with bare essentials such as a small flashlight and whistle when on public transportation. Being prepared will not only help you survive a disaster, but greatly lessens the impact of common emergencies such as injury, fire and severe weather. The time to get ready for unexpected situations is right now - while you have time to listen, learn, plan and prepare! VAN NUYS - Over 125 firefighters battled a brush fire that erupted within the Sepulveda basin on August 22, 2014, scorching 30 acres. Just before 4:00 PM the Los Angeles Fire Department (LAFD) responded to the 15700 block of Burbank Boulevard to find thick brush and trees on fire in the Sepulveda basin. Over 125 firefighters, under the command of Assistant Chief Andrew Fox, fully extinguished the flames in nearly two and a half hours. A total of 30 Acres burned. 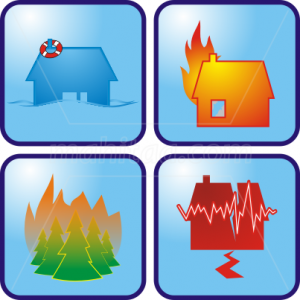 LOS ANGELES - The City of Los Angeles Emergency Management Department has announced its "Five Steps to Neighborhood Preparedness" program, an easy-to-use guide for creating a neighborhood disaster preparedness plan. LOS ANGELES - The Los Angeles Dodgers saluted firefighters from across The Golden State on Tuesday evening, during Firefighter Appreciation Night at Dodger Stadium. The August 19, 2014 event featured a matchup between the Dodgers and the San Diego Padres, and started with a hosted pre-game reception for firefighters and their families, and continued through a warm summer evening of exciting Major League Baseball. While the Dodgers bested the Padres (8 to 6), the real winner of the game was the California Fire Foundation, which benefitted from a generous portion of the evening's ticket sales. The non-profit organization provides emotional and financial assistance to families of fallen firefighters and the communities they protect. The men and women of the Los Angeles Fire Department thank the Dodgers organization for their longstanding support of California first responders, and encourage you to join firefighters and their families for an afternoon or evening of fun this season at Dodger Stadium. We would like to introduceRalph M. Terrazas, the Fire Chief-select for the Los Angeles Fire Department (LAFD). He is currently an LAFD Assistant Fire Chief assigned to the South Division. In his current assignment as the South Division “A” Platoon Commander, Chief Terrazas is responsible for leading, managing, and training the approximately 500 members on-duty at 54 fire stations throughout seven battalion commands. The South Division Command covers half of the City and includes the complex institutions of the Port of Los Angeles and the Los Angeles International Airport. 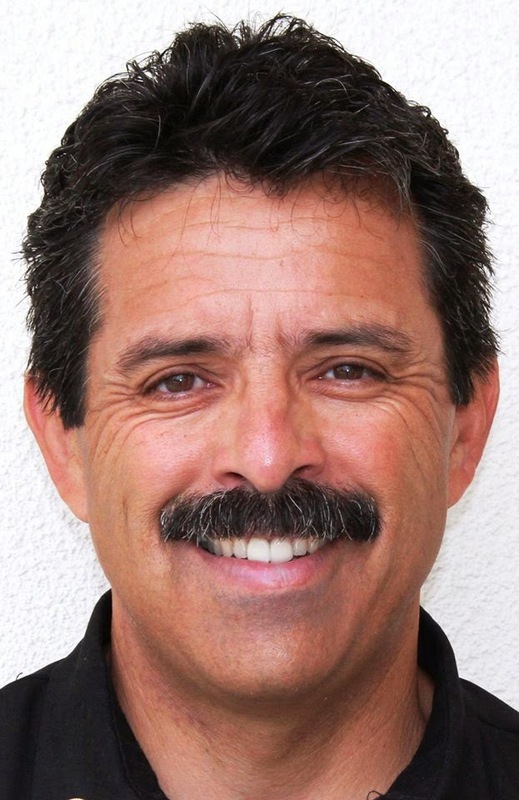 Terrazas is a 31-year veteran of the LAFD and during his tenure he has served as a chief officer for 14 years in a variety of field and administrative commands. He established the Department’s Professional Standards Division (PSD), which upgraded and professionalized the LAFD’s disciplinary system; applied metric-based management at the Division and Battalion level to achieve continual improvement and data tracking of specific objectives; led the development and passage of the Proposition “F” Fire Station Bond, which enabled the construction of 19 new LAFD stations; served as the Community Liaison Officer, and is the holder of a U.S. Patent for a “Brush Fire Rate of Spread” tool and an Emmy Award of Excellence for production of a public service announcement program. James G. Featherstone remains the Interim Fire Chief until Chief Terazzas is confirmed by city council. We expect formal confirmation early August 2014. HOLLYWOOD - A stubborn fire Sunday morning in an industrial metal plating facility took just over two hours to contain and led to one firefighter going to the hospital. 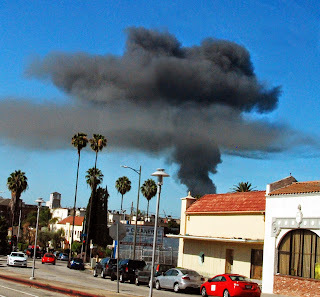 The Los Angeles Fire Department was called just before 9:00 AM on July 13, 2014, to 1001 North Orange Drive in Hollywood. Firefighters arrived in just 3 minutes to find thick black smoke and fire billowing from Highland Plating Company, a 100' by 150' one story brick building. Firefighters made an aggressive interior fire attack but were quickly driven back by intense heat and flames. Seven minutes into the battle a coordinated retreat was ordered and the operation took a defensive posture. Firefighters used large diameter hose and water streams from ladder trucks to attack the blaze and apply copious amounts of water. To combat concerns of run off, Firefighters built a series of dams and filtering systems to reduce contaminants, while Hazardous Materials Firefighters tested both the air and water. Although the plume of smoke could be seen for miles, no evacuations were ordered and air tests found the smoke to be free of dangerous contaminants. Nearly 150 Firefighters all under the command of Assistant Chief Timothy Manning had the bulk of the fire extinguished in just over two hours. Firefighters will remain on scene for over 24 hours to address flare ups and douse hot spots. The fire was confined to the building of origin were there was partial roof collapse from the intense blaze. Firefighters managed to save the business office and salvage it's contents. A firefighter became ill after the intense firefight, in very warm weather, and was transported to the hospital in good condition for evaluation. A half dozen agencies including LAFD Joint Hazard Assessment Team and LA County Health Haz Mat are working in a collaborative effort to minimize environmental impact and organize clean up, estimated to take up to two days. All Firefighters, equipment, and apparatus had to be decontaminated with a soap and water solution to neutralize the exposure to oxidizers used in metal plating. The cause of this blaze remains under active investigation by the Los Angeles Fire Department Arson Section. Dollar loss is estimated at $1,800,000.00 ($800,000 structure & $1,000,000.00 contents).